John is an Asia-Pacific Operations Manager, and like many had inherited a warehouse run on spreadsheets and manual processes. When I talked about this with John in a coffee shop, I could feel his frustration – the company he works for is facing issues of rising costs and falling orders, extended lead times and holding the wrong inventory. “I have too much of the wrong inventory,” he tells me. “And we can’t find anything! Yet everything needs to be there yesterday, because we are already behind!” He explains how the company lost four staff in the last month because of similar frustrations, but he feels like the management won’t change anything because they are focused on controlling costs. John’s story is not unusual when dealing both with SMEs and large multinationals. The industry he works in is a mature one, and the competition is fierce. Over time, the strategy of the business has been driven to one that is cost competitive. Dollars count. Inventory is seen as something that directly contributes to profitability, however too much of it can be crippling. In John’s case, the inability to see what inventory is on hand and where it is located is really starting to affect the productivity of not only his department, but the entire operation. Production backlog is increasing, and orders which were previously outstanding for one to two months now take three to six months to be fulfilled. This is a quote that, while being incorrectly attributed to Henry Ford, can appear to cause confusion when it comes to innovation and the direction that organisations should follow. While some take this as implying that customers don’t know what they want, it may be more accurate to surmise that customers may indeed know what they want, but cannot imagine the way that this want or need can be satisfied. Perhaps travel consumers answered “cheaper hotels” when asked what they want, but in their wildest dreams they couldn’t have imagined Airbnb – and that is the message we should take from this. We need the faster horses in the short term, but the Model T’s are essential in the long run. How is this relevant to supply chains? Regardless of the accuracy of the attribution, the sentiment behind the quote remains valid today: the need to innovate beyond what possibly customers (and potentially even employees) think they want or need, or meeting that need comes in a form they can’t imagine. Who in 1855, would have seen the motorcar as a solution for the need for faster travel, and thought that something like a Model T Ford would be within the reach of ownership just over fifty years later? In today’s environment, where the rate of progress is faster than ever, and with companies dying at an ever increasing rate (O’Reilly & Tushman, 2016) innovation is becoming essential to company survival. At the same time there is a need to improve efficiency and productivity, so that costs can be reduced, and there is additional profit to be invested in such innovation, as it doesn’t come cheap. 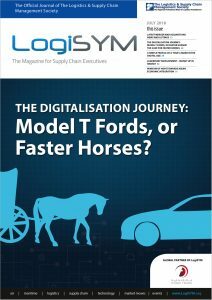 Therefore, on the road to digitalisation, it has been acknowledged that what we really need is both faster horses as well as Model T’s – companies need to do both to leverage what they have to remain competitive in existing markets, and pivot in to products and services that remain viable for the next market shift. They also need to increase efficiency and productivity, pursuing goals such as the increase of sales and revenue, and reduction of costs(1). It is the need to exploit existing strengths to achieve a greater position in the existing market(s) and ultimately aims to result in greater profits. In the discussion of digitalisation, it is this that is probably the low hanging fruit in terms of which projects to pick for your digitalisation efforts. It is on projects like this where our colleague John is trying to have his organisation focus some of their expenditure – as sometimes it is not a question of growth, but survival, as customers choose other suppliers that are farther along in their journey to reduce costs and increase efficiencies. The customer wants to see benefits such as shorter lead times and lower costs passed down the supply chain to them. A Question of Practicality – Faster horses? 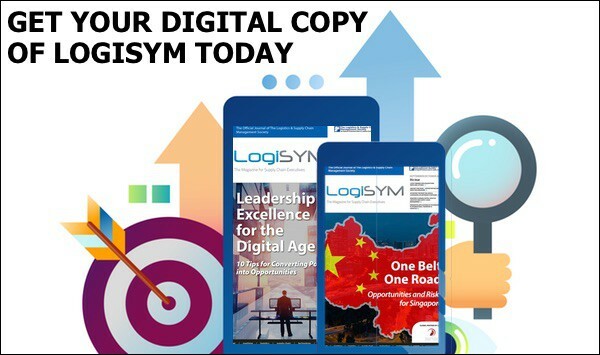 Whether we look at it as innovation or business transformation to keep ahead of rapidly changing markets or see the need for backoffice digitalisation to keep up with cost and service pressures from competitors, one of the considerations that is repeatedly highlighted in instances of both failure and success of digitalisation is the need for leaders to think in ways that enable both exploitation and exploration – we need both doers and dreamers. However, it takes some time for companies to build up this capability, so starting on efficiency and productivity is not a bad starting point. So in the case of John, what didn’t his managers see? 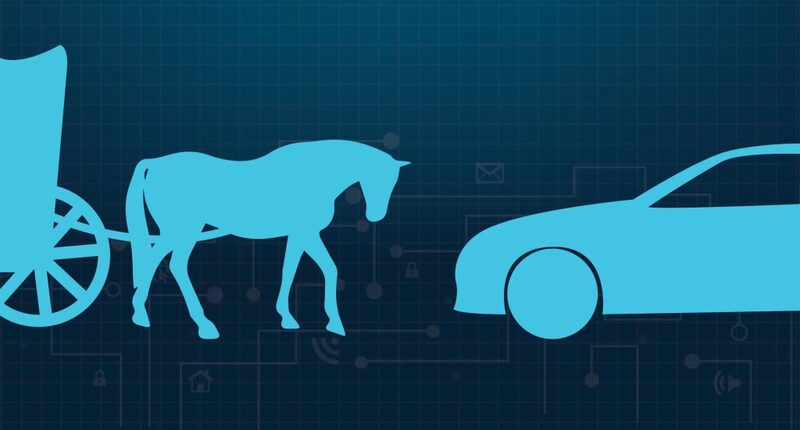 I spoke to Vivien Cheong at Transporeon to ask what could have gone wrong in John’s case, and she highlighted that in designing the “faster horse” a simple and familiar methodology can be used – PDCA, also known as Deming’s wheel of continuous improvement. It’s something that their sales and solutions design team encourage when taking on these digitalisation initiatives, and it applies whether upgrading an existing old technology or starting from scratch. Consider the data – what is currently being collected and why? What is needed? Where are the gaps? Be aware that no solution will deliver 100% of what is desired by your company. Set expectations. Think about KPIs, and not just for your process. For the vendor as well. When will the solution be working, what efficiencies can be expected? What service levels can you expect from both the system and the vendor? In the end, John’s project was approved after two more managers resigned in the week after I spoke to him. It seems that sanity prevailed, and his company realised that they were losing too many people with their previous approach. Let’s hope it’s not too late. * There is a slew of analysis about this saying and the lack of innovative thinking by Henry Ford, but this is not the point of this article. (1) These have been carved in to two categories by different authors. In O’Reilly & Tushman’s *Lead & Disrupt: How to Solve the Innovator’s Dilemma* (2016) the focus on use of company resources to find new ways to be relevant in new markets and industry is called ‘exploration’, whereas people who innovate in this way are ‘dreamers’ according to Nate Anderson (2017). The focus on efficiency and productivity is referred to as ‘exploitation’ by O’Reilly & Tushman, and ‘doers’ by Anderson. 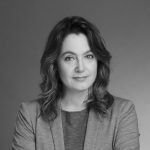 Stephanie is an accomplished businesswoman, entrepreneur, and corporate innovator whose career path is not constrained by traditional bounds, and allows her to bring a diverse range of experience to bear on her roles and clients. Her diverse professional background complements her years in academia and in the International Business space. Stephanie holds a Masters of International Business from the University of Wollongong where she is currently in the final stages of completing her PhD in Supply Chain & Cross Cultural International Business.